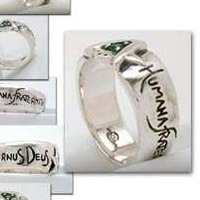 14K White Gold is a nice alternative for a Brother who wants the value of gold, but the neutral color of white metal. 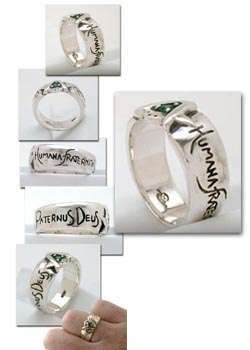 Color-wise, it has a shinier hue than silver, and never needs polished, naturally seeming a bit brighter and whiter than regular sterling silver. 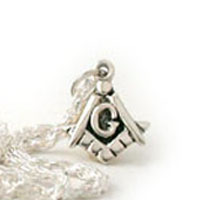 This is naturally toned white gold, unplated for durability. Looks great with colored stones, and can be made into a real sharp ring with a diamond. 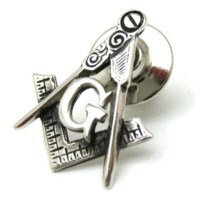 Also available as Past Master verison, select available options. 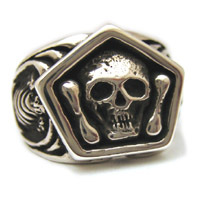 I was drawn to the Brotherhood ring originally because it did not have the "class ring" look that is prevalent in my lodge and many surrounding lodges in my area. 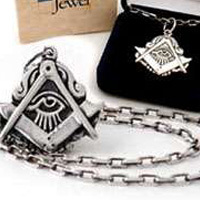 The band style offered a sleeknes that was modern yet displayed the traditional masonic emblems as well as being handcrafted, start-to-finish by Brother Horn. I was expecting a piece that suited my style more so that any alternatves...but what I received was a TRUE work of art! This will no doubt become an heirloom piece in my family (if I decide to give it up). 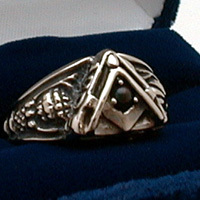 I have had many people, Mason and non-Mason, compliment and remark what a striking piece it is. Great work Brother Horn! Your work is truly outstanding!